When you move to a new city, it can be hard to find your crowd. That task is made even harder the more complex your identity is. The population of the greater Tokyo area is approaching 40 million and while it is possible to make friends among the majority Japanese inhabitants, sometimes it is just more comforting to be able to be around people who look and talk like you. Well, in the words of Madonna, “I know a place where you can get away, it’s called a dance floor.” And recently my dance floor getaway has been the monthly music party Speakeasy. 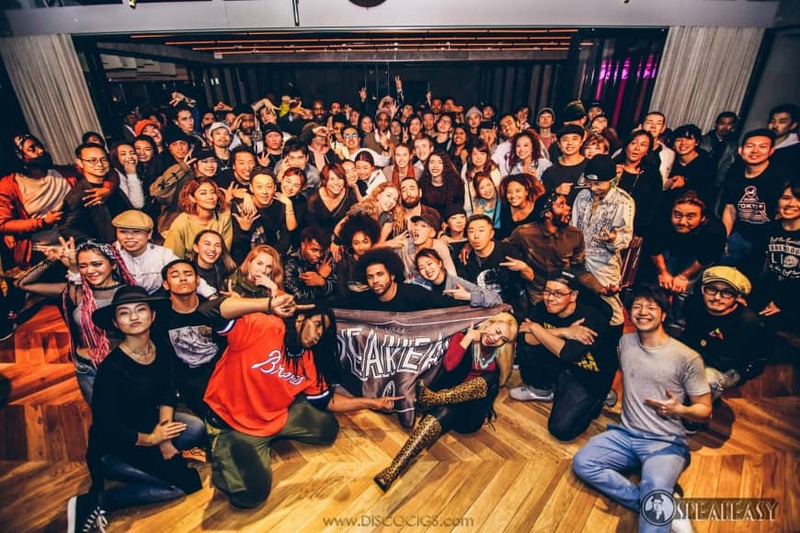 Held at PlusTokyo music lounge in Tokyo’s Ginza area, its organizers brand it as the capital’s “No. 1 vibe-out party.” What I found there was a stereophonic sanctuary of sorts that I didn’t think existed in this city, despite my having lived here for 4½ years (which goes to show you should never stop exploring). As the elevator doors opened onto the 12th floor of the Kirarito Ginza building when I went to last month’s event, I was greeted by a welcoming community of various ages dancing to a remix of Destiny Child’s “Say My Name.” Bursts of neon illuminate the faces in the crowd, revealing many of them to be black or mixed race black and Japanese. Everyone’s experience is different, but for me being able to see this many people of color is refreshing — it’s rare that I find myself to be part of what’s close to a majority in Tokyo. As I scan the venue, I overhear a few squeals of “Hisashiburi” and even more of its English counterpart, “Long time no see.” After about 20 minutes I start to feel like the event isn’t your standard block party, but something a bit more intimate — to the point that I begin to worry that I’ve mistakenly stumbled into someone’s high school reunion. And that feeling never subsides. Everyone appears as if they know each other, if not personally then through a mutual friend. 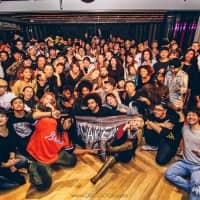 Late goes on to tell me that his experiences with Speakeasy have been a sort of respite from the general fatigue that sets in when living in a foreign country over an extended period of time, and it seems to be a sentiment familiar to many of those in attendance. With that in mind I find some courage to strike up a conversation with someone who seems like she may be the life of the party, a half-black and half-Japanese dancer named Katie. She tells me that she is originally from Aomori and has been coming to Speakeasy for about two years. Like many of the other people at the party, she is a dancer. When asked if dancers make up the majority of people here, Katie, 24, agrees there’s no shortage of people who like to dance. She’s not kidding. Throughout our conversation multiple partygoers approach Katie to say hello or get a quick hug before taking off somewhere else. Before I know it, she’s being whisked off into a giant circle on the dance floor and encourages me to follow. The music switches to 1980s and ’90s pop R&B, with Evelyn “Champagne” King’s “I’m In Love” leading the charge. People take turns in the circle, with break dancers impressively spinning and contorting their bodies at what feels like breakneck speeds, all the while their friends and other attendees cheering and singing along. Tokyo can feel overbearing and uncompromising to a lot of us, regardless of how long we’ve lived here. Speakeasy lets me forget about that for a few hours and allows me to feel like I’m back home for the day. It’s just the pickup before I’m back out there among my 40 million neighbors. The next installment of Speakeasy TYO takes place at PlusTokyo on April 7 from 4 p.m. to 10 p.m. Entry is free, but you must RSVP. For more information, visit bit.ly/2JV3hRA.